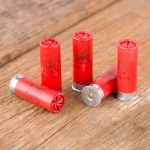 Shotgun use in a self-defense situation differs significantly from hunting in that you might have the opportunity (and the actual need) to fire your weapon multiple times quickly. 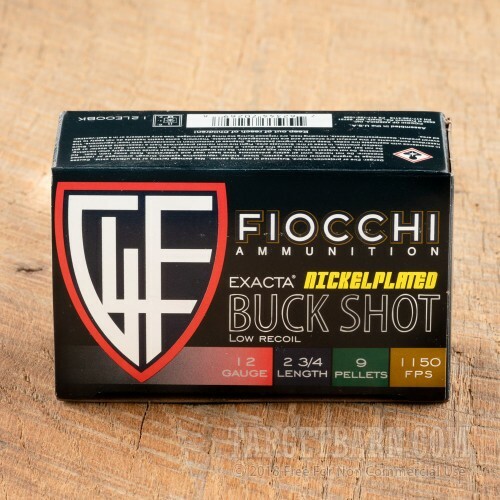 This 12 gauge load from Fiocchi is designed with that very real possibility in mind. 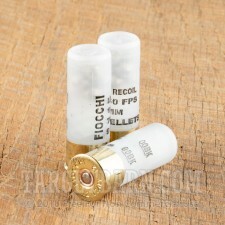 Each 2-3/4" shell in this case of 250 fires 9 pellets of 00 buckshot at a muzzle velocity of 1,150 feet per second. This reduced velocity (compared to hunting ammo) has two main advantages in a defensive scenario: it keeps recoil to a more manageable level to promote faster, more accurate follow-up shots, and it slightly reduces the risk of over penetration and collateral damage. 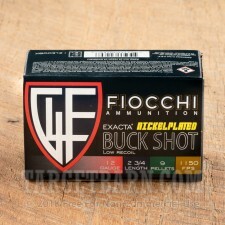 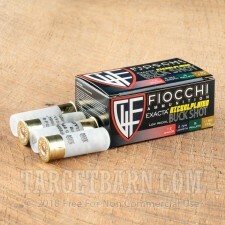 This ammo is part of the Exacta series and is loaded in Ozark, Missouri by Fiocchi of America.